For males and females who require specific and targeted treatment to the lower face - hyaluronic acid dermal fillers are used in the chin and jaw to skillfully create a sharper jawline and stronger mandibular angle. However, caution is required there are many injectors who do not have the injecting techniques not artistry required to enhance the specific areas that are very different for male and female patients. As a rough guide of price, it is not uncommon for at least 3-4ml to be used for females and 5-6 ml for male patients. Please see below for the beautifully natural results for male and female patients of Juno Aesthetics. For (mainly female) patients over 40, a common concern is the skin laxity and texture around the mouth and in the lower face region. 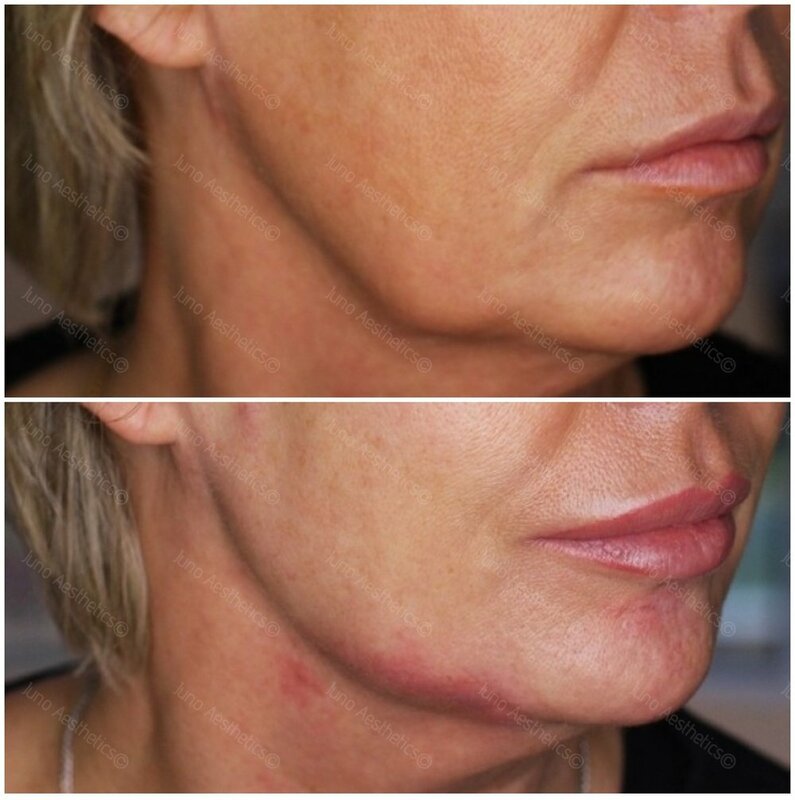 For such patients, a regular "lower face refresh" of the region greatly assists in returning softness to the lips, improving skin texture and firmness and subtly erasing the lines that drag the face downwards (nasolabial and melobial lines). 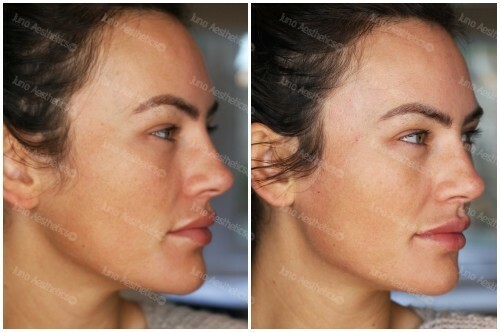 Patients who benefit the most from this approach, will already have good volume in the mid face (either naturally or from the liquid face lift treatment). As a rough guide, 1ml will be required 2-3 times a year.